Comanche's Rancher was created to to transport animals. It gives a perfect solution when it comes to small groups of animals or quick transports. 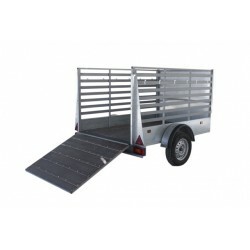 With an antiskid ramp door and grilled sides for a better transportation.